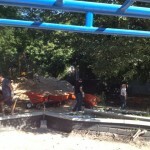 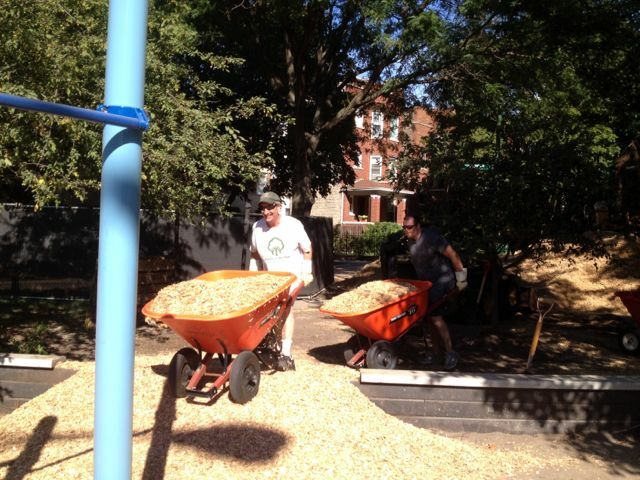 After many years of advocacy, Jacob Playground was provided with all new equipment, as part of the Chicago Plays! 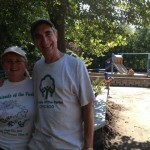 program, a partnership between the Chicago Park District and Friends of the Parks. 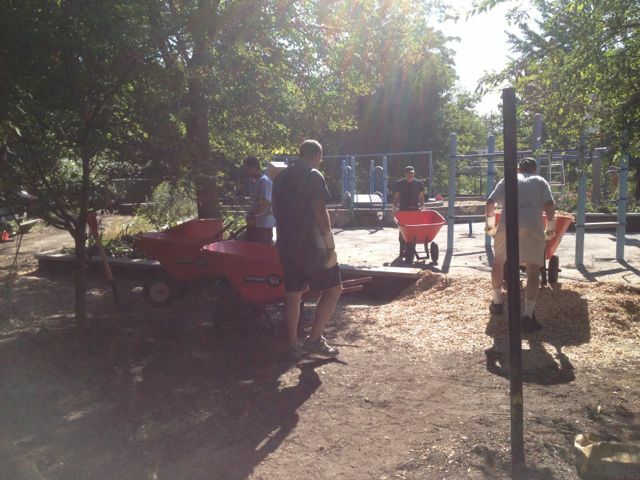 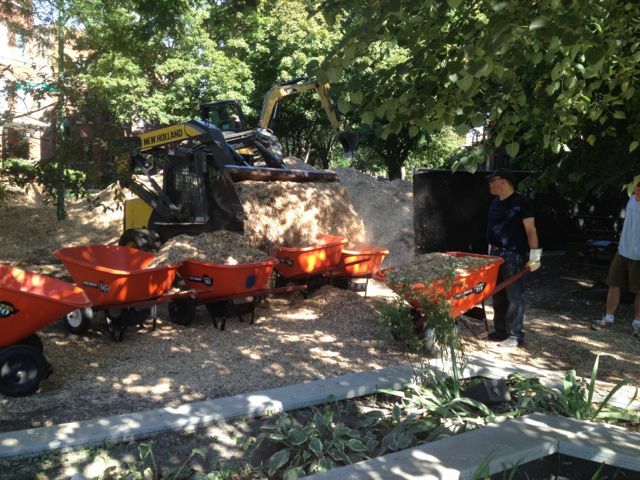 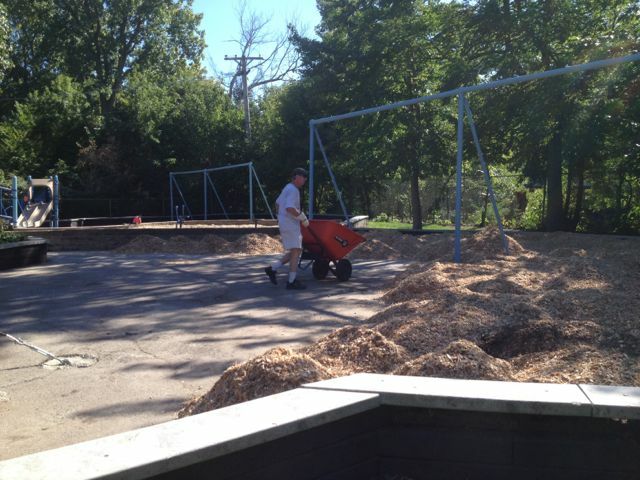 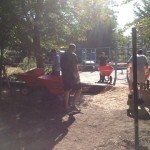 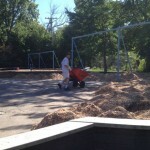 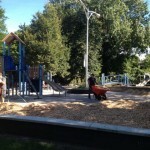 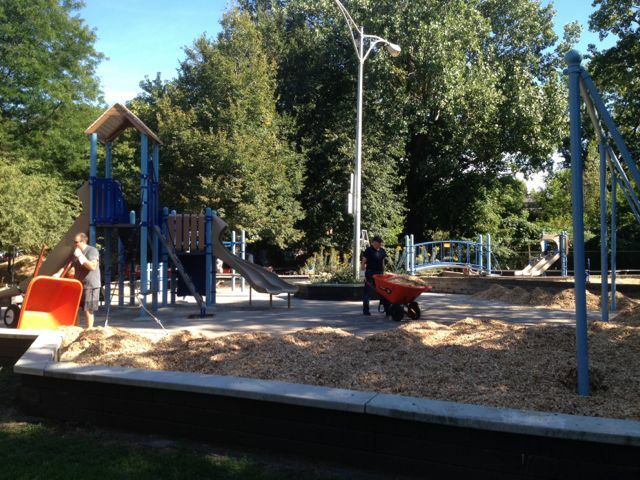 The Friends of Jacob Playground, headed by Nate Hutcheson and Ben Ranney, helped to organize a fibar woodchip day on Friday, September 27. 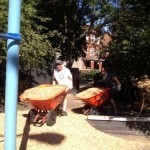 More than 15 volunteers from the neighborhood, including Alderman Pawar of the 47th Ward, came by to move 3 semitrailers of woodchips into the park. 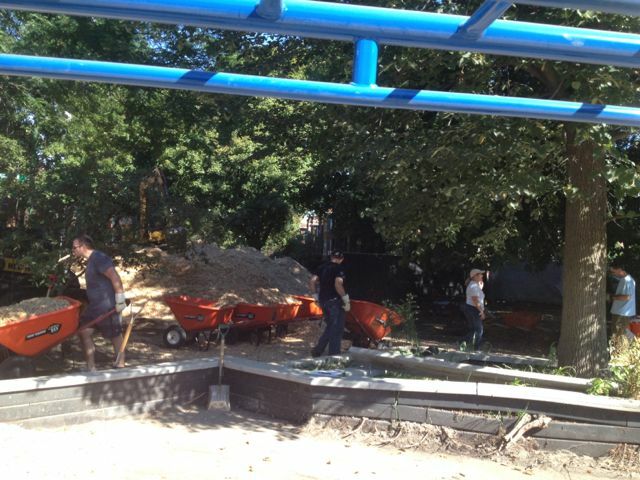 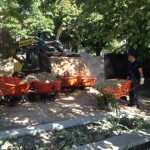 We are hoping the construction fence will soon be removed so that the children can begin to have fun in the new playground. 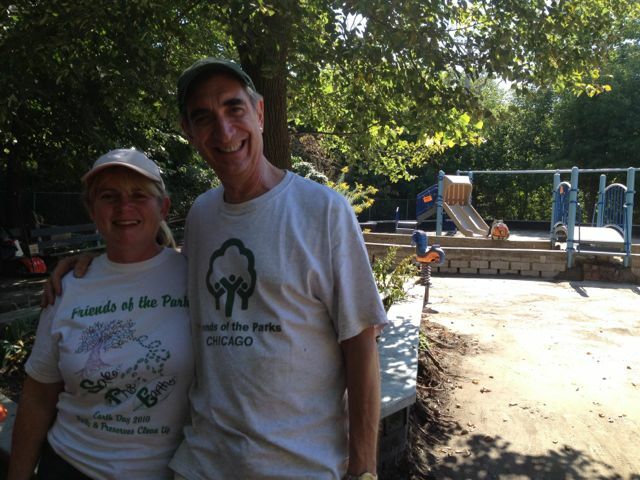 On Wednesday, September 11, 2013, the Chicago Park District Board of Commissioners approved the purchase of some additional land next to Jacob Park from the CTA for future park expansion. 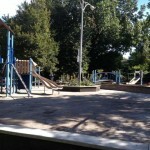 This is an initiative the Horner Park Advisory Council has been advocating for for several years. 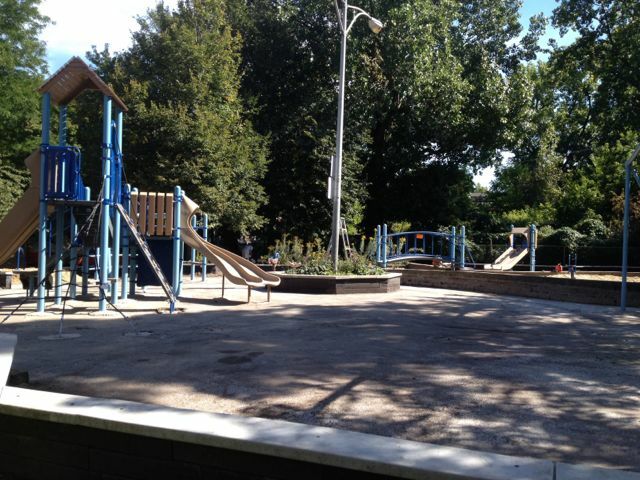 It may be a few years before the Park District has a plan and the funds to improve this parcel and annex it onto the existing park.